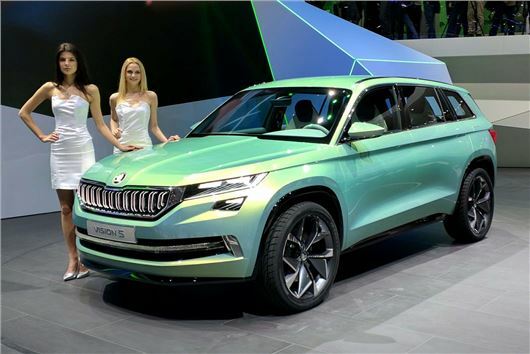 The Skoda VisionS may be labelled as a concept, but make no mistake, this car that's being shown as a concept at the Geneva Motor Show will be on sale next year and named 'Kodiak'. The VisionS is a six-seater with three rows of two seats and is 4.7 metres long. It will sit above a brand new Yeti in the line-up and is likely to be priced from £25,000. It's a smart looking SUV, with a new clamshell bonnet and a distinctive rear tailage. Expect this to be carried over to the next Yeti (and other potential Skoda SUVs too). When it goes into production, the engine range is likely to feature a 1.4-litre turbo petrol, plus 1.6 and 2.0-litre diesels, with a variety of outputs, including the 237bhp twin-turbodiesel from the Volkswagen Passat.